Our co-host for the month of November is Kami Huyse (@kamichat) and one of our guests was David Hessekiel (@DaveCause). 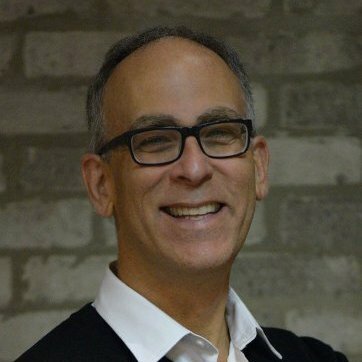 In this episode, Mitchell Levy, Chief Aha Instigator of the Aha Amplifier (http://AhaAmplifier.com), with his co-host for the month,#ThoughtLeader Kami Huyse, CEO of Zoetica Media (http://www.zoeticamedia.com), speak with #ThoughtLeader David Hessekiel, president of Cause Marketing Forum, Inc. (http://www.causemarketingforum.com). This month’s theme focuses on cause marketing and how engaging in it helps drive one’s business to success.David defines cause marketing as a wide variety of commercial activity that aligns a company or brand with a cause in order to generate business outcomes and social outcomes. It is really about that integration of trying to do well by doing good. Corporate social responsibility covers the concepts and ethos that cause marketing brings to life. David cites some examples on how cause marketing is being done through their company, which trains key people in organizations on how to do cause marketing through various channels.Mitchell notes that to get stories out to inspire people, you need to train your own people in a way that it’s not difficult for them to do cause marketing.A few ways to get stories out are through documentary film and video ads. As to what cause a company should adopt for their cause marketing, Kami says that it can be a very personal or a meaningful one to generate empathy from customers. It should not seem frivolous or promotional. It is also very important to not just be on the bandwagon, and settle for something that won’t standout. There should be creativity in identifying what channels and tools to use, and how your cause marketing can make a big difference. During the interview, David cites other great examples of cause marketing that really worked in driving success for companies. He also mentions a few that failed and how those experiences can teach companies that want to take cause marketing to the next level. December 9, 2015 in ThoughtLeaderLife.